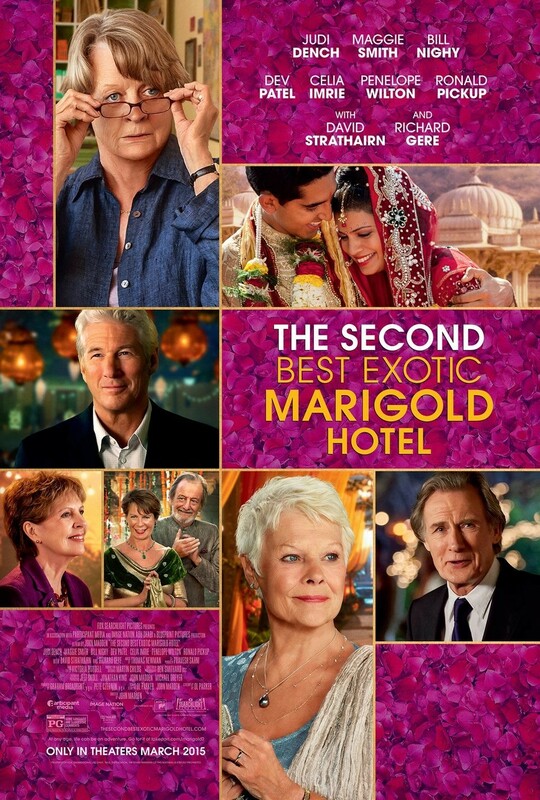 SYNOPSIS: The Best Exotic Marigold Hotel has only one remaining vacancy, posing a rooming predicament for two fresh arrivals, so Sonny and Muriel travel to the U.S. in search of investors for a second hotel. Spoiler Alert: As usual, we tell you everything about the relationships in this relationship movie. Frank and I can really relate to the characters and their love lives, because they’re our over-60 peers. Some of us may recall the 1960’s social experiment of communes of like-minded idealists trying to create an alternate lifestyle. Well, none of these English seniors had even a vaguely hippie past, but they’ve stumbled into the opportunity to create their own 21st Century offbeat tribe in colorful India, and second chances for love are everywhere. In the bosom of their retirement hotel and away from their inhibiting families and the conventions of English society, these seniors are free to seek relationship fulfillment in ways they never did before. Yay! There are no happily married couples here. All have been widowed, divorced or are still single. 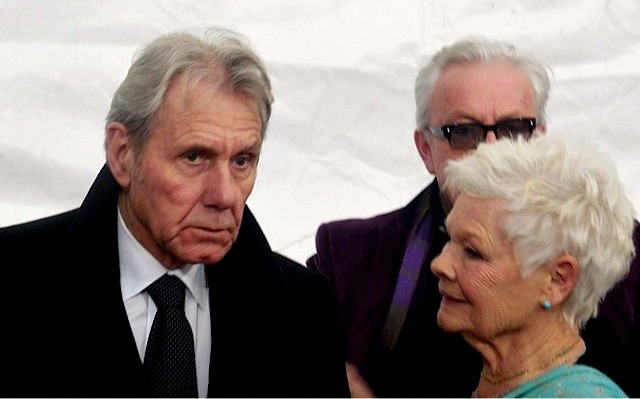 The only married couple, the unassuming Douglas (Bill Nighy) and the sharp-tongued Jean (Penelope Wilton), were disastrously matched and she moved back to England in the first film. There’s some closure here when Jean returns to demand a divorce so she too can have a new beginning. Meanwhile, Douglas is deeply in love with sweet, timid Evelyn (Judi Dench), whom he and we can palpably feel is also in love with him, but is still too uncertain of herself to reach out. Madge (Celia Imrie), a confident flirt, has always looked for security, not romance, and has managed to get two rich Indian suitors to propose and now has to choose between them. Carol (Diana Hardcastle) and Norman (Ronald Pickup) are the sexually open couple who finally, in their late 70s, may want a committed, monogamous relationship. Lastly, into this unusually fertile romantic climate, comes the 64-year-old Guy Chambers, (Richard Gere), a divorcee and possible undercover hotel inspector, who is trying to find himself by writing his first novel — about the despair of aging. He is instantly drawn to Sonny’s strong, beautiful but closed-down widowed mother (Lillete Dubey.) Only the unswerving bachelorette, Muriel Donnelly (Maggie Smith), is out of the game. How real is all this? Aside from not tackling the challenging-for-all online dating, we think the writer has created a prism of issues and options that today’s liberated single boomer and seniors have. The older crowd faces a lot of universal dating problems, but they also have unique problems: the health issues of aging and looming mortality. On the other hand, they have experience and the motivation to enjoy life while they can. All the residents of The Best Exotic Marigold Hotel, especially the older ones, grapple with fear. Even the self-possessed Madge is hesitant to abandon a calculated marriage to a rich man to be with someone she truly cares about. Carol has an affair to protect her heart because she erroneously believes Norman is having one. The widowed Mrs. Kapoor struggles with letting her formidable guard down and allowing herself to be a woman again. Every one of these concerns and behaviors are common in every age group and every Age. What pushes these boomers and seniors to action is Time. When Evelyn confides to a male co-worker that she loves Douglas and, if she could actually speak out, she’d tell him, “I need more time,” and he asks, “How much time do you have?” That’s the key question that finally moves Evelyn to let go. And ultimately, it’s the question that motivates all the Best Exotic Marigold Hotel residents to grow forward, to choose life and love over financial security, self-doubt, and fear. How much time do any of us have to deny ourselves a chance at love and at a richer, more fulfilling life? What does it take to overcome our insecurities and speak up and reach out? To many boomers and seniors, the answer is “Carpe Diem! “ Seize the day!” They’re living longer, and they’re healthier and freer than previous generations. whatever your age, we suggest you follow the example of the residents of The Best Exotic Marigold Hotel: Be brave! Go for it!